Too many bath towels? Upcycle them into smaller washcloths! Add a simple crochet edge to make each a bit more special. Use them yourself or create sets of them to give as gifts. Stack three together with some cute soap and tie a ribbon around it all for a special present that will delight almost anyone. 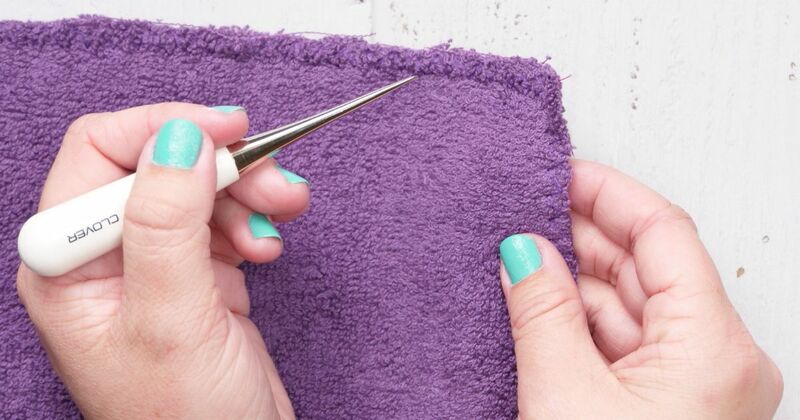 This is an especially useful project if you have a bath towel that has just a few stains or faded areas: Just cut those away and use the material that's left to give new life to that old towel. Also, keep this craft in mind if you see a really good price on towels. 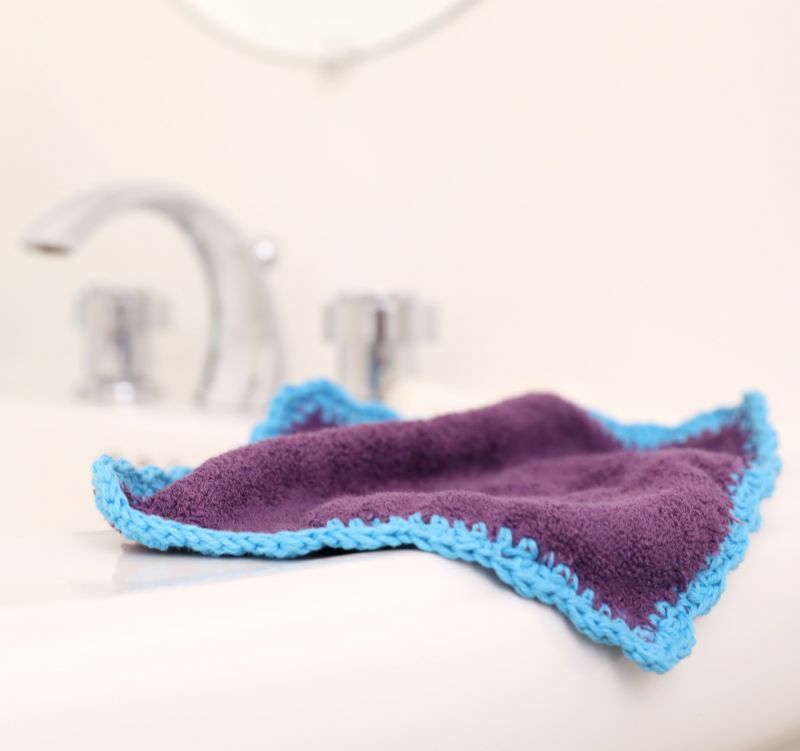 Crocheters can use up scrap yarn while also upcycling towels, too. 1. Place the bath towel flat on a work surface. 2. Lay the transparent measuring grid atop the towel and measure an 8-inch-by-8-inch square. Draw the square onto the towel with white chalk. 3. Cut along the white chalk lines. 4. Adjust the sewing machine settings to accommodate thick fabric. Select the zig-zag stitch. 5. Stitch along each edge of the square to give it a finished look. Snip off excess thread. 6. Use an awl to poke small holes along each edge. They should be evenly spaced approximately 1/8 inch apart. 7. Attach the cotton yarn to your crochet hook using a slip knot. 8. Insert the crochet hook into one of the awl-punched holes in the corner of the washcloth. 9. Yarn over and pull through. Proceed to single crochet stitch all the way around the washcloth. Slip stitch to the first stitch to close the round. 10. Chain one and single crochet another round. Slip stitch to the first stitch to close the round. Cut the yarn and weave in the ends. 11. The washcloth is ready for use. Launder when necessary in a washing machine as you would any towel.